The latest picture of Prince George and you can really see how much love there is between him and the family dog Lupo. I think he will make a good King. 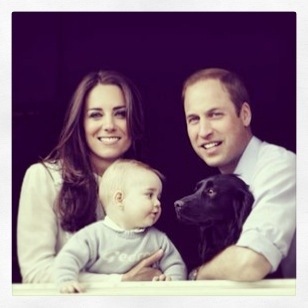 The future of the Royal Family looks bright! And I am sure that his mum will introduce him to Pilates as soon as he is old enough as Kate is such a big fan, as is her sister Pippa. Kate attended 3 Pilates classes a week whilst she was pregnant with George in Fulham, London, and she is also reported to like using dumbells and a Swiss ball for an hour every morning as part of her regular gym workout.